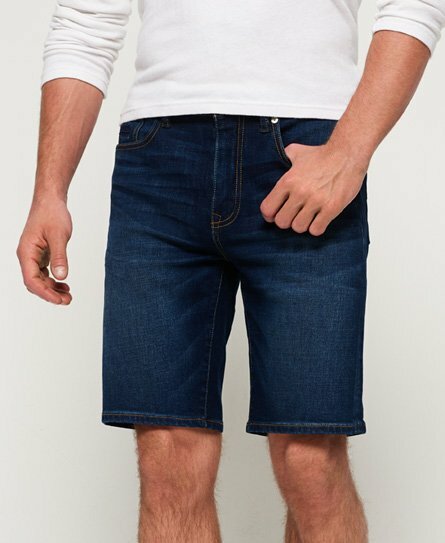 Superdry men's slim Tyler short. These versatile shorts feature the classic five pocket design, a zip and button fastening and a leather Superdry patch on the back waistband. These shorts are completed with an embroidered Superdry logo on the coin pocket and a Superdry logo patch on the back pocket. Style with a short sleeve shirt for a smart casual look.